This week’s guest is KCRW's Garth Trinidad. In this episode you will find snippets of music from Thundercat, Isley Brothers, J. Dilla, and Eric B & Rakim. And the EDM.com Track of the Week is Patawawa - Back to Life (LBCK remix)by Ivory Oasis https://soundcloud.com/ivoryoasis/patawawa-back-to-life-lbck-remix. Garth has been a DJ on LA’s legendary KCRW independent radio station for over 18 years, helping to shape the city’s landscape of progressive music. His playlist blends an international mix of future soul, deep dance, indie rock, and jazz, and his show has won LA Weekly’s award for Best Radio Program multiple times. He helped to break some of the most important alternative artists of our time — Erykah Badu, Jill Scott, Little Dragon, and he keeps on digging. We talk about the important mentors in Garth’s career, including American Idol judge Randy Jackson, and how he manages all of his side hustles: Music journalism (NPR, PBS, LA Canvas magazine), music supervision (Entourage), and most recently music production as half of the deep house duo Trinidad-Senolia. And there’s more. Cousin stays busy. I hope you enjoy the interview. 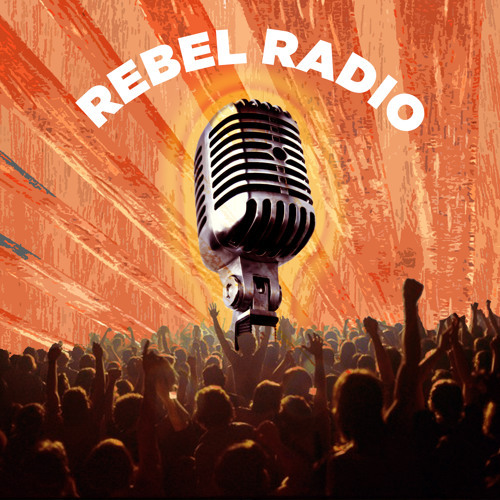 Make sure you subscribe at soundcloud.com/rebel_radio, and leave us comments or suggestions for future guests at www.twitter.com/rebelradionet.